Stay up to date on industry news and changes! You can NEVER be too careful! Partners Land Title Agency takes security and your client’s protection very seriously. The alert below presented by Old Republic Title shows you why we are so careful and can help you to explain to your buyer or seller why we take such precautions. Any time funds are being wired to or from our company you and/or your client(s) can expect a call from us! Criminals will always look for new ways to scam or defraud the public and try to stay one step ahead in the Real Estate Industry. 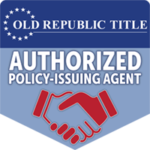 Take a look at one of the newest schemes presented by Old Republic Title. Ohio’s “Good Funds” statute has once again been modified. 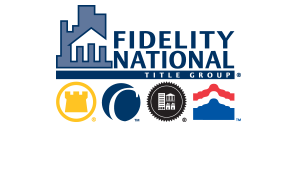 The following changes become effective for all escrow/closings conducted on or after September 29, 2017. Personal, business or cashier’s checks (other than those drawn on a Real Estate Broker’s Trust Account); money orders; and/or, cash totaling $10,000 in aggregate, are considered “good funds” (up from $1,000). Any Electronically transferred funds are considered “good funds” (now includes internal transfers between accounts held by the same bank). Remaining unchanged is the exempt status granted to checks drawn on a Real Estate Broker’s Trust Accounts. However, under ORC Sections 4735.18 and 4735.24, funds deposited in such accounts in connection with a purchase agreement are intended to be limited to earnest money funds. As such, it is not a recommended practice to accept significant payments drawn on such accounts as an avoidance of the rules specified above. On January 4, 2017, Governor Kasich signed into law Sub. H.B. 463 which included changes to Ohio’s Good Funds Law and what constitutes “good funds.” (O.R.C. 1349.21) This law will go into effect on April 6, 2017. Instruments must be drawn on an existing account at a federally insured bank, savings and loan association, credit union or savings bank. Electronic transfer of funds through the Federal Reserve System. All of the instruments listed must be drawn on one of the financial institutions referenced. A money order issued by a convenience store or a credit card company, such as American Express, would not be considered good funds. However, a money order issued by the United States Postal Service (USPS) would qualify as good funds as the USPS is considered an agency or instrumentality of the United States. Although the law is not in effect until April 6th, Partners Land Title Agency will begin implementing this change as of March 1, 2017. If you have any questions regarding this information, please do not hesitate to contact us. We will be more than happy to help! Take a look at the following video on cyber-crime awareness from Old Republic Title!